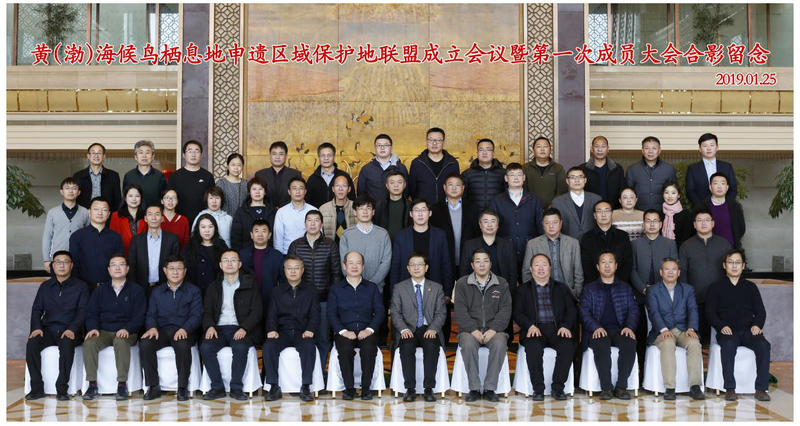 On 25th January, 2019, the Alliance of Migratory Bird Sanctuaries along the Coast of Yellow and Bohai Sea inaugural meeting and the first general assembly meeting was successfully held in Yancheng, Jiangsu Province. Natural protected areas management department of Chinese National Forestry and Grassland Administration(NFGA), the Forestry Bureaus of Shanghai, Hebei, Liaoning, Shandong, Jiangsu, the protected areas of migratory bird sanctuaries along the coast of Yellow and Bohai Sea, the relevant representatives from well-known social organizations and research institutes attended the meeting. Xun YAN, Counsel of the natural protected areas management department of NFGA attended the meeting and delivered an important speech. 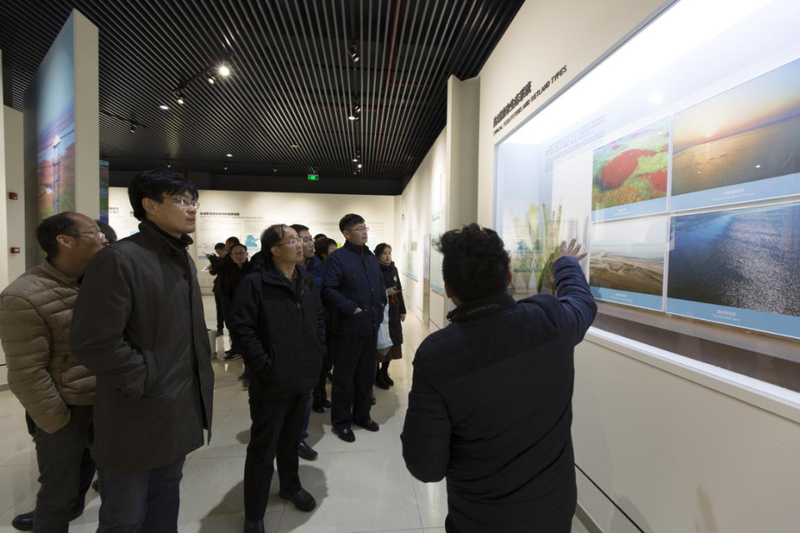 Dehui ZHANG, division director of natural protected areas management department introduced the World Natural Heritage Application Work Plan for Migratory Bird Sanctuaries along the Coast of Yellow Sea-Bohai Gulf of China. 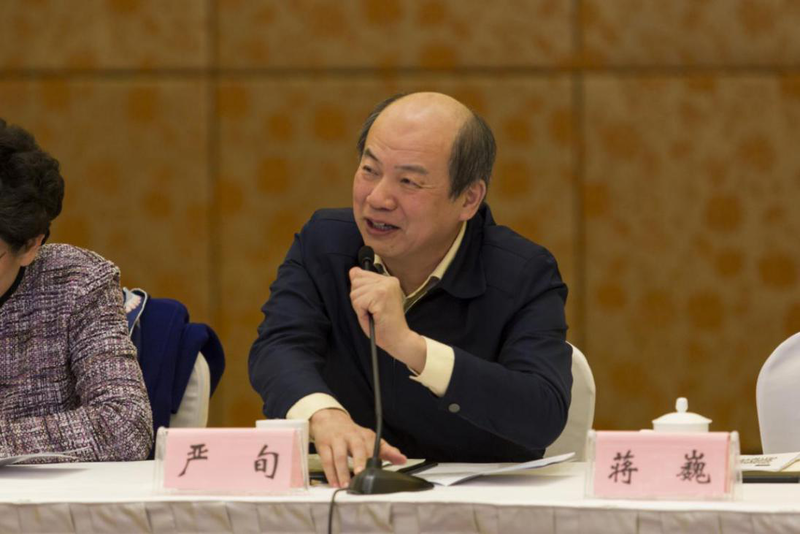 Tie SUN, deputy division director of natural protected areas management department introduced the status quo of China’s natural heritage. 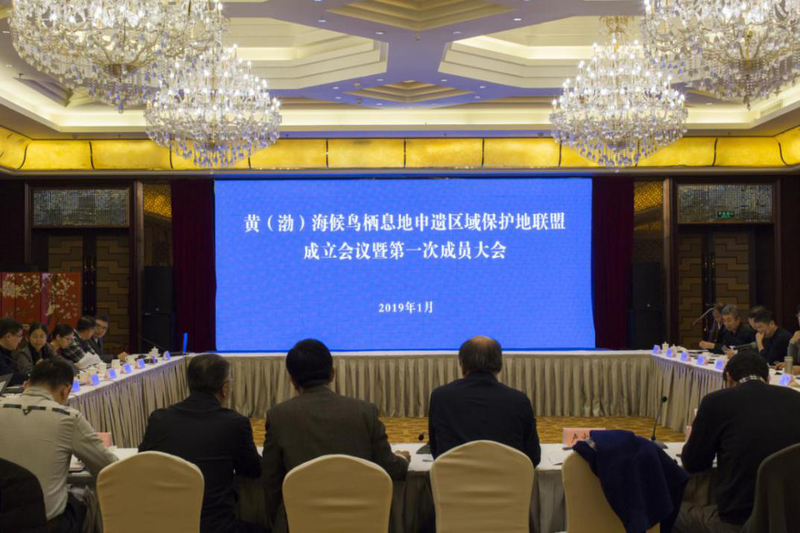 The Constitution of the Alliance of Migratory Bird Sanctuaries along the Coast of Yellow and Bohai Sea was discussed and adopted finally in the meeting. Alex Zhang, Deputy Secretary General of Eco Foundation Global, announced the establishment of the Alliance as the initiator of the alliance. 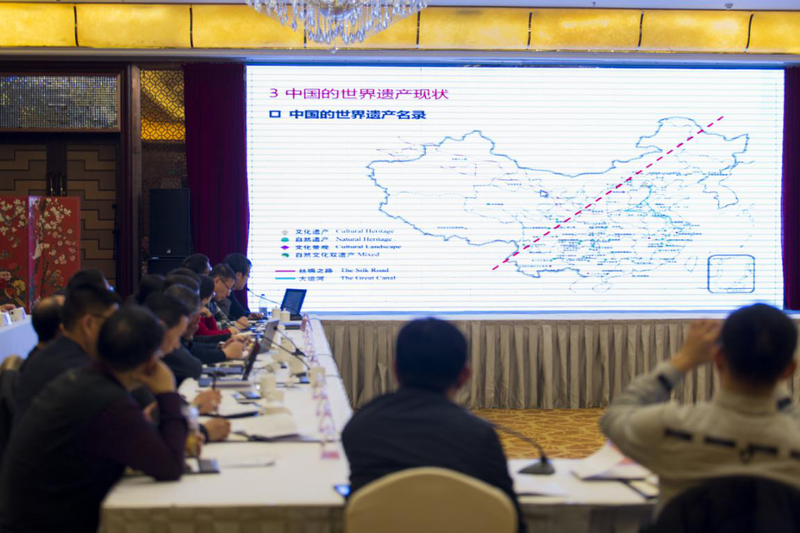 The constitution explained the objective of the Alliance is to establish a cross-regional and inter-agency cooperation mechanism for the migratory bird sanctuaries along the coast of Yellow and Bohai Sea, and bring innovation to the coastal wetlands protection technology. According to the Election Method of Alliance of Migratory Bird Sanctuaries along the Coast of Yellow and Bohai Sea, the supervisor units and the council units of the alliance were appointed, see the list below. Wei JIANG, Deputy Mayor of Yancheng Municipal People’s Government, Director of Yancheng National Rare Bird Reserve, said “As the Chairman Member of the alliance, we would like to strengthen our positivity of study, constantly enhance our ability to perform our duties, focus on combining with practice, and improve the endogenous motivation of learning. 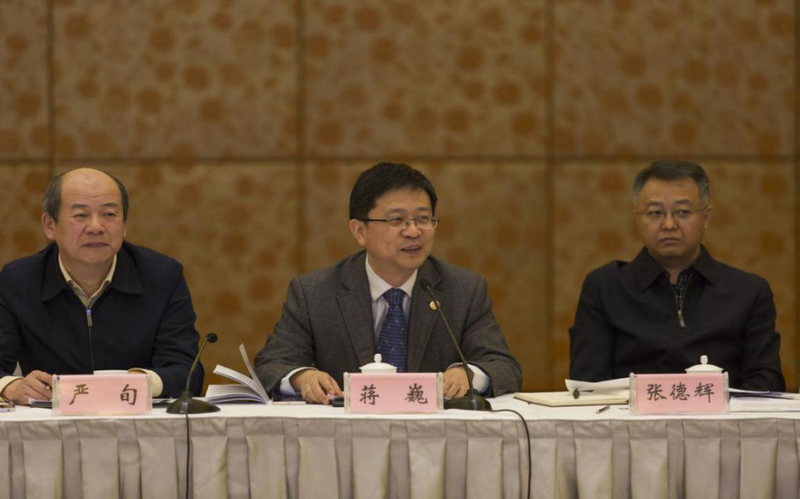 Today, the alliance was established, and the first general meeting of members was held successfully, which will leave a strong mark on the history of cooperation in the protection of the coastal of Yellow and Bohai Sea. We will coordinate and handle the relationship among all the members, strengthen the awareness of the alliance cooperation, and work together to improve the alliance image of the protected area in the Yellow and Bohai Sea.”Local representatives and leaders such as Tangshan City, Panjin City, Rudong County and Beidaihe District also spoke separately regarding to the work of the alliance. 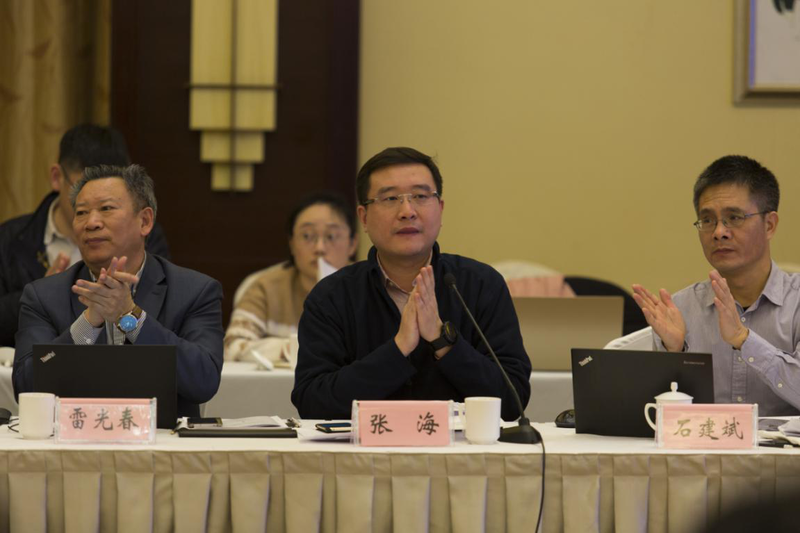 Xun YAN, Counsel of the Natural Protected Areas Management Department of NFGA delivered a speech as the leader of the supervisor unit, and put forward higher request to the development and orientation of the alliance. In the future, the Alliance will address issues that threaten human well-being, such as climate change, loss of wetland biodiversity, and reduced ecosystem services. The Alliance will work together with the government, management agencies, research institutes, social organizations, to establish a cross-regional and inter-agency protection mechanism and a technology cooperation innovation platform to coordinate the protection, restoration and management innovation practices of natural conservation areas in this region, and jointly protect the natural habitats of the Yellow (Bohai) sea migratory bird sanctuaries which have the outstanding universal values. Biodiversity and the world natural heritage, especially migratory birds and their habitats in the East Asia-Australia migration area, explore an integrated ecosystem management model that harmoniously coexists with nature, optimize wetlands ecosystem service output and improve the feeling of the happiness and the sense of gain for the mankind, implement the concept of ecological civilization and sustainable development, as well as UN 2030 Sustainable Development Goals, provide an innovative model for the protection and rational use of coastal wetlands and biodiversity in the world. 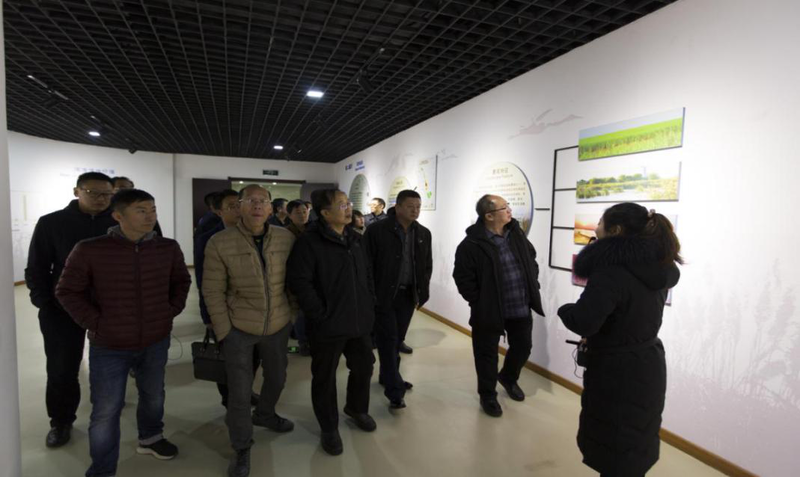 In the afternoon of the same day, the participants visited the Yancheng National Rare Bird Reserve, Jiangsu, Dafeng Milu National Nature Reserve, and Yancheng World Natural Heritage Nominee Exhibition Center.